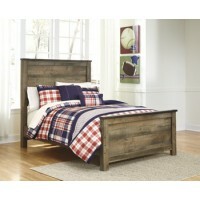 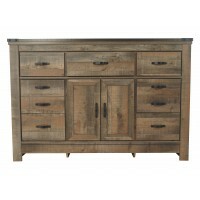 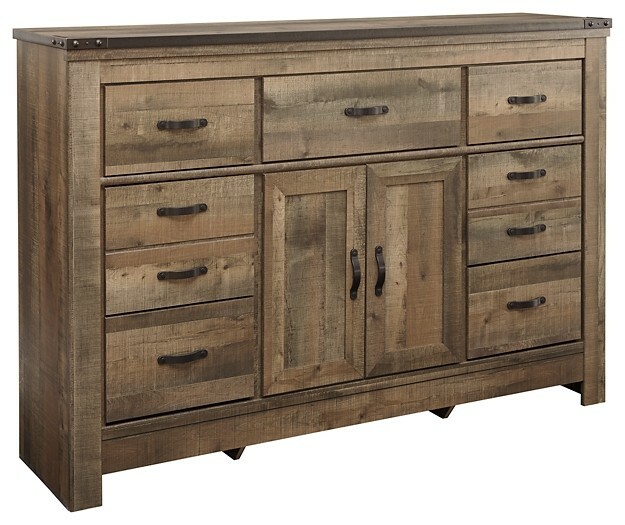 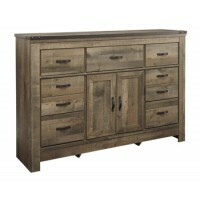 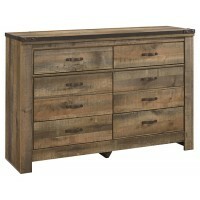 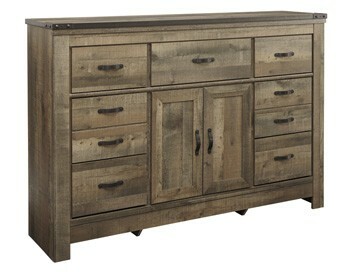 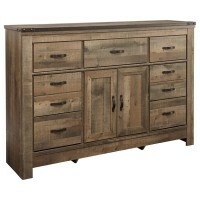 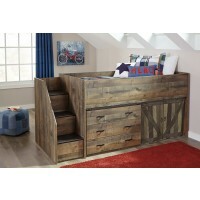 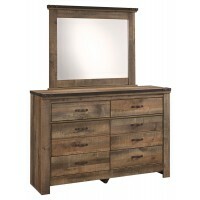 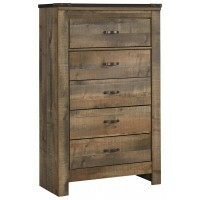 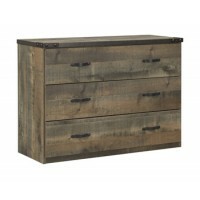 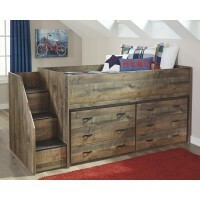 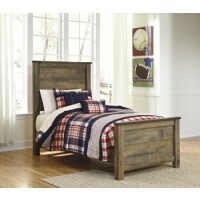 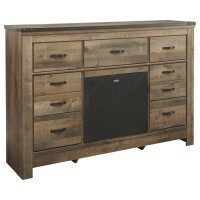 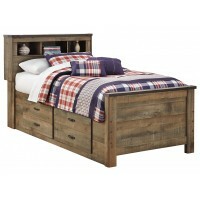 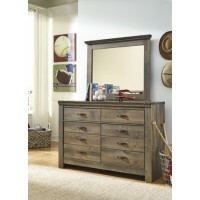 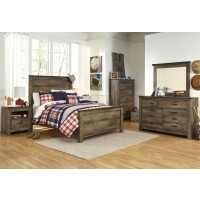 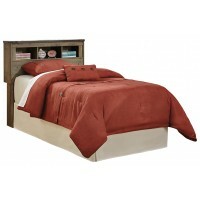 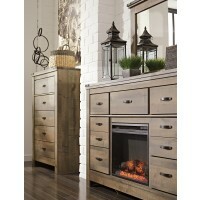 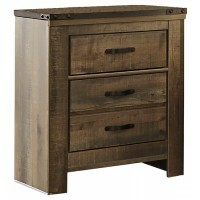 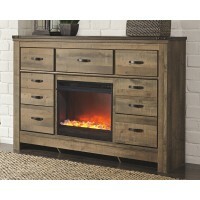 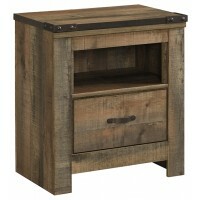 This dresser with fireplace option makes home on the range look so alluring. 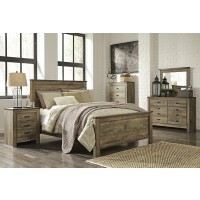 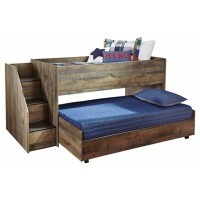 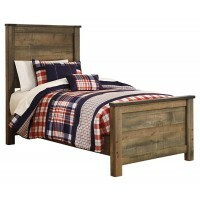 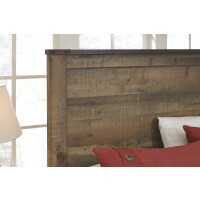 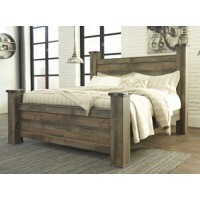 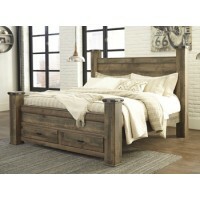 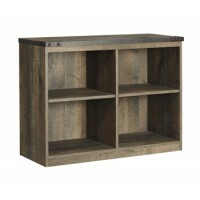 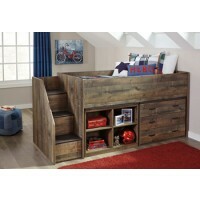 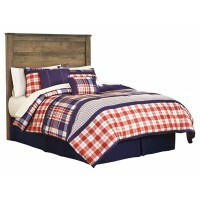 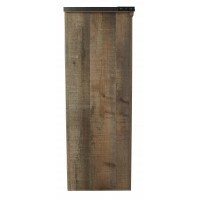 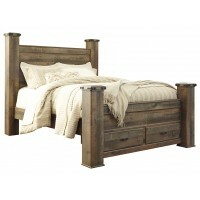 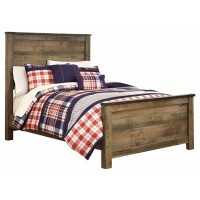 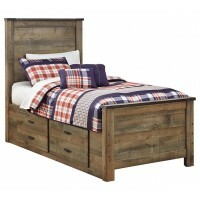 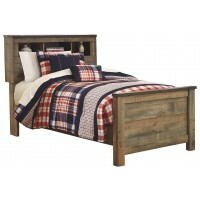 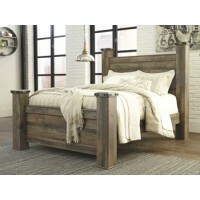 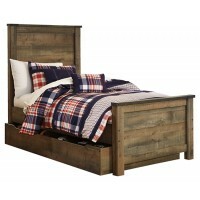 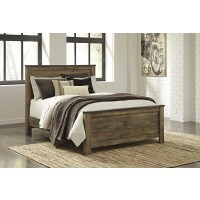 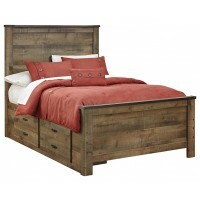 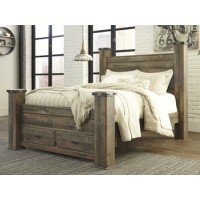 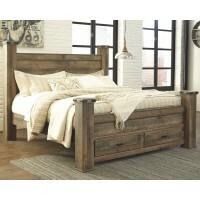 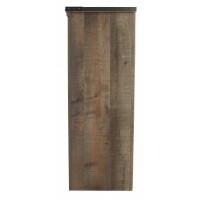 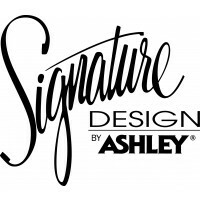 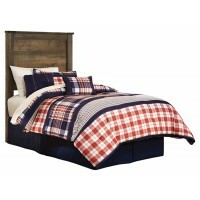 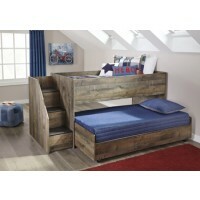 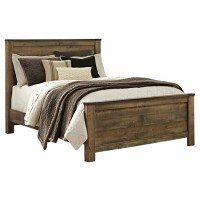 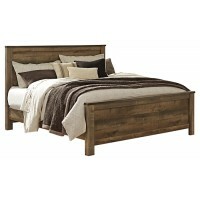 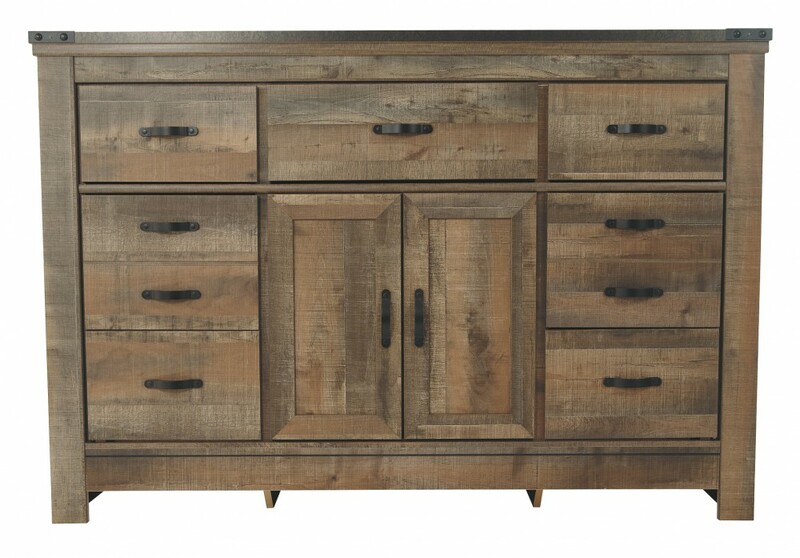 The aesthetic is earthy yet clean and sophisticated, with a rustic finish, plank-style details and nailhead trim that pay homage to reclaimed barn wood. 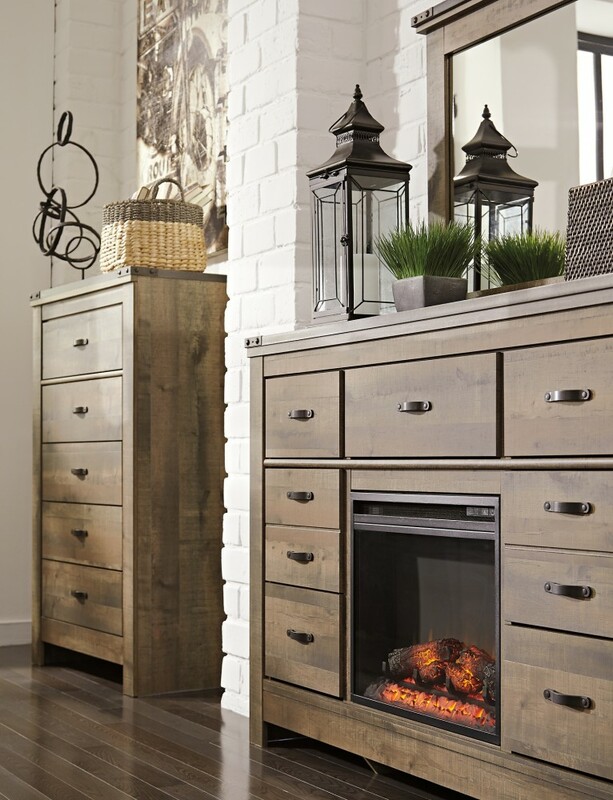 Opt for the optional LED fireplace for instant warmth and romance.